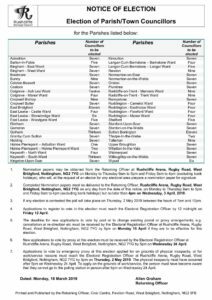 Notice of election of parish/town councillors. Polling will take place on Thursday the 2nd of May 2019. Please note that Candidate Nomination packs can also be collected from the Town Council’s office.